So, this time we got another, I don't know, six inches. Then it rained for a bit and now it's icing up. Did I mention that Youngest has classes till 9:30 three nights a week and I stay up to fetch him from the station at 10:30? It's a big lifestyle change. A friend at work gave me this great Grand Budapest Hotel calendar. This fellow surprised me by having the most fragrant strawberries. On the train. Ice on our roof window this morning while I worked from home (quite possibly more intensely than I have of late at the office). 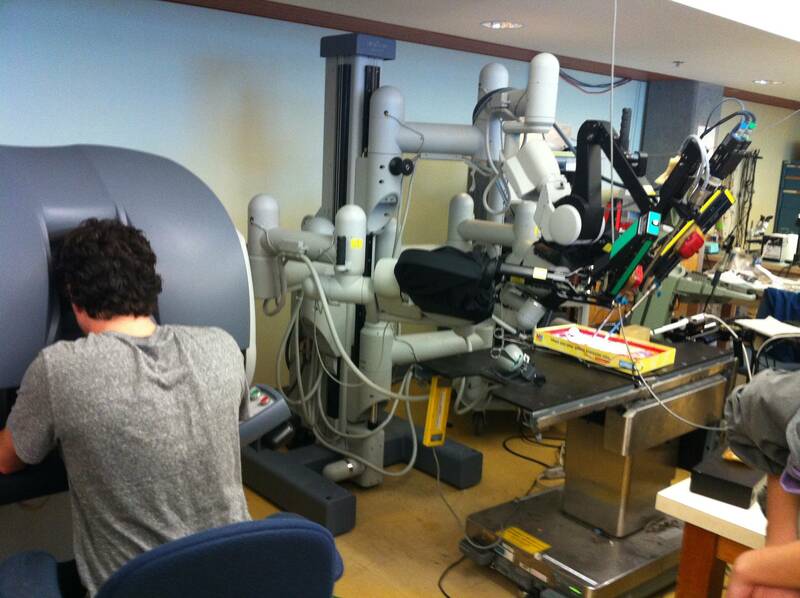 Middle sent this link of a robot which is designed to perform surgery playing Operation. And I cannot stop telling people to worry about themselves. As scary as that toddler. Rain over snow is the worst kind of mess. I hope you are navigating it safely. Are you adjusted to being a "night owl?" That seems so late to me right now, though when I was younger I imagine it was "early." Oh, I love that calendar! Snow I can deal with, but ice is another story. We're bracing for some kind of winter storm out here, never know what's going to happen (or not, they often just blow right over). We have also had one helluva winter, but it has almost all been snow and cold. Ice and sleet and freezing rain is whole different -- and far worse -- thing. You have my sympathies.